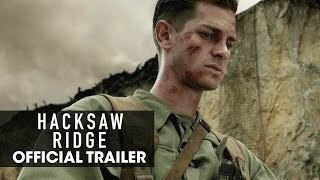 The amazing true life story of Desmond Doss, the first conscientious objector ever to be awarded the Medal of Honor. A 7th Day Adventist who believed WWII was a just cause- even though killing was not- Doss was the only American soldier to serve on the front lines without a weapon, and single-handedly saved the lives of 75 men. R for intense prolonged realistically graphic sequences of war violence including grisly bloody images.